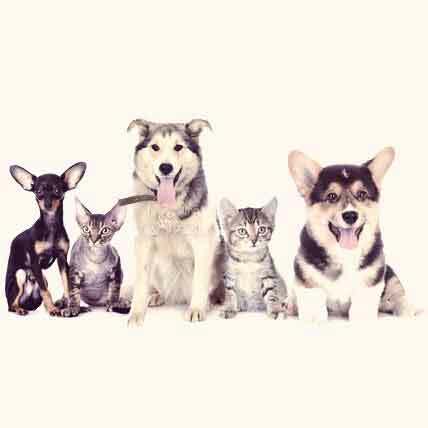 Pets can get relief from arthritis or post-operative pain from NSAIDs, or non-steroidal anti-inflammatory drugs. Learn about the kinds of NSAIDs and what the differences are. 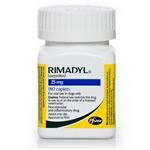 NSAID stands for a non-steroidal anti-inflammatory drug. These are a grouping of drugs that are anti-inflammatories, pain relievers (analgesics), and fever-reducers (antipyretic). They are unique in the group of pain-relieving drugs because they do not contain steroids, and are non-narcotic (i.e., morphine or opium). Most NSAIDs designed for pets require a prescription. In addition to their pain relieving and comfort enhancing qualities, current studies are researching their effectiveness in treating cancer. Most NSAIDs function by blocking two enzymes in the body: Cox-1 and Cox-2. These enzymes play a key part in the making of prostaglandins. Prostaglandins are chemicals that cause tissue swelling at the point of an injury and play a role in the electrical signaling to the brain that causes what humans and pets feel as pain. So what’s the difference between these NSAIDs? What are the benefits and potential drawbacks? 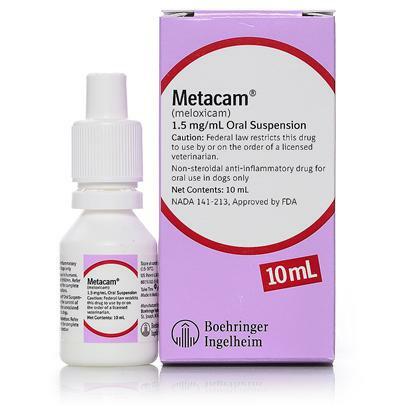 Rimadyl, Metacam, and Piroxicam block both Cox-1 and Cox-2 production, reducing fever, pain, and inflammation. 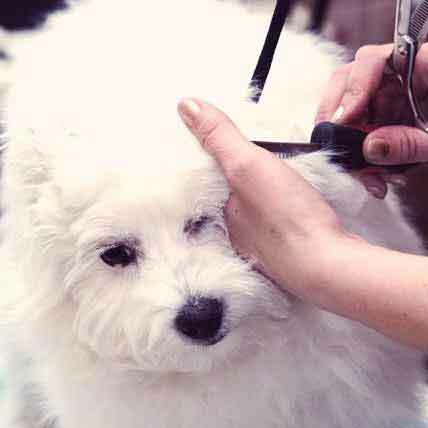 Because the body is blocked from making prostaglandins, your pet will feel pain relief, but prostaglandins also protect stomach and intestinal lining. Some pets can have adverse reactions to these NSAIDs, which may include gastrointestinal problems. 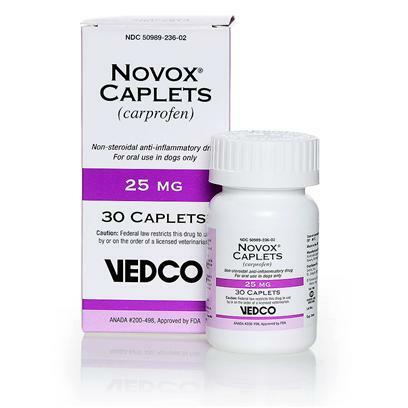 Previcox and Novox are Cox-2 NSAIDs, and only block the Cox-2 enzyme. This still reduces pain, but leaves essential prostaglandins free to maintain digestive tract lining. However, when Cox-2 is not around to moderate the effects of Cox-1, Cox-1 encourages blood clotting and tightens arteries. In some cases this can lead to heart problems or even heart failure. Be sure to ask your veterinarian about the dosage for your pet, and how to watch for any potential problems. What pets can be given NSAIDs, and at what ages? 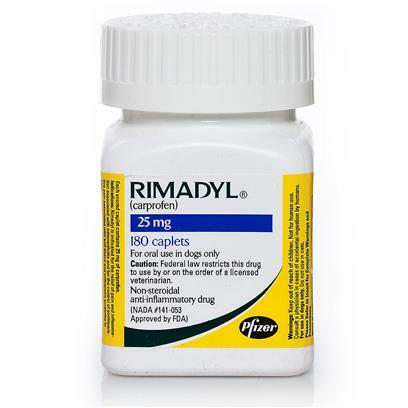 Rimadyl is for dogs 6 weeks and older. 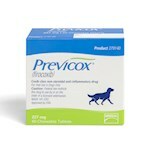 Previcox is for dogs 7 weeks and older, and 12.5 pounds or heavier. 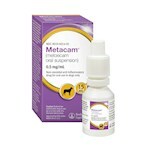 Metacam is only for dogs. 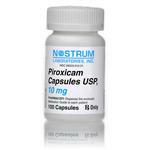 Piroxicam can be given to cats or dogs. Consult a vet about appropriate dosage for your animal's size. Novox is for dogs 6 weeks and older. Possible side effects of all NSAIDs include appetite loss, vomiting, and diarrhea. If your pet experiences any of these, discontinue use and contact your veterinarian immediately as this could indicate damage to the liver, kidneys, or digestive tract. 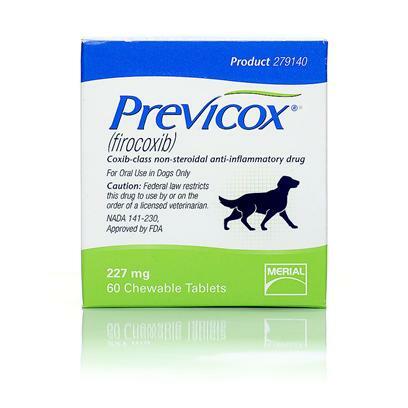 When using Previcox, contact your vet if you notice your pet is experiencing abdominal pain, tenderness, or discomfort; bloody, black, or tarry stools or blood in vomit; unexplained weight gain; water retention; fatigue or lethargy; skin rash; itching; yellowing of eyes; or unusual bruising or bleeding. 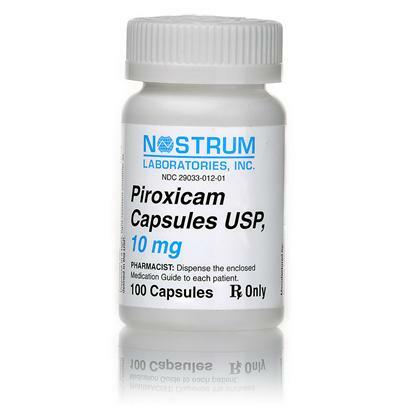 When using Piroxicam, contact your vet if your pet shows signs of depression, an increase in drinking, jaundice, dizziness, seizures, behavior changes, lethargy, swelling, shedding, itching, constipation, or hot spots. If your pet is on NSAIDs for a long period of time, your vet will want to check on their liver and kidneys on a regular basis. Check with your veterinarian, but most NSAID manufacturers recommend skipping the missed dose and simply continuing with the next scheduled dose. Can it be used with other drugs? 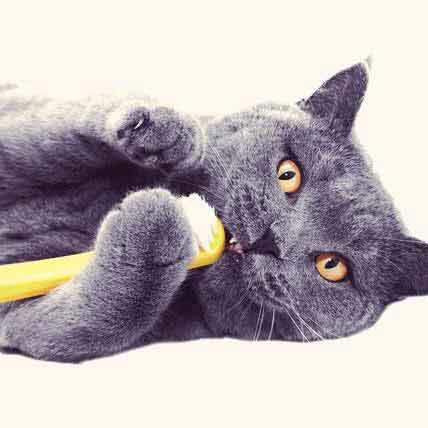 Unwanted or even dangerous interactions could occur if your pet is on other medications or supplements, so be sure to talk to your vet about any other medications you give your pet. NSAIDs should never be used with other NSAIDs, other anti-inflammatories, or with steroids. ACE-inhibitors can also have averse interactions. 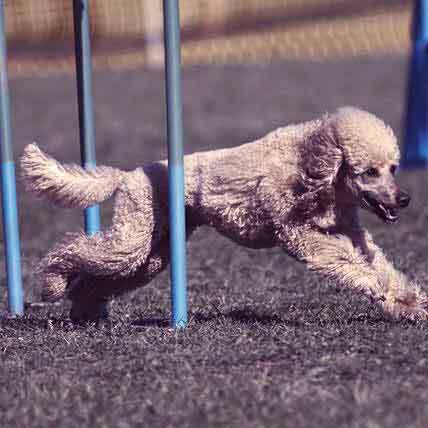 Many veterinarians will pair NSAIDs with probiotics. Be sure to use both only as your veterinarian directs. 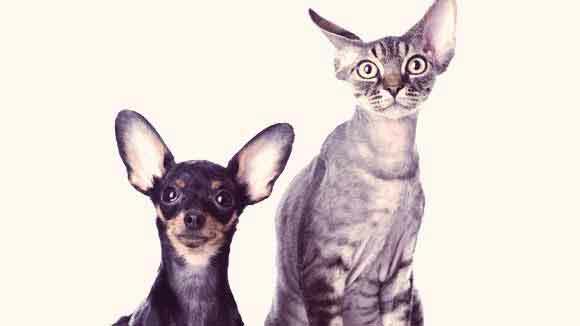 I've read another article that states 20-55 mg combined EPA /DHA per pound is safe for dogs and they also assume cats. That means around 160 - 440 mg for an 8 lb cat. So a 1000 mg gel cap with 18% EPA + 12% DHA = approx 300 mg of Omega3 fatty acid. So this would place it within the limit of 1 cap per day. However, this article's recommendations are about half that. Can I get a confirmation/clarification on the 1000 mg gel cap = 300 mg fatty acid, being used as an appropriate dosage for an 8 lb cat? OR if it should be halved per day (according to this article's recommended daily use, or if it can be split over 2 doses per day as being safe? This also assumes the cat will consume all of her food, which she often doesn't. Fish oil is very popular and well-regarded dietary supplements. There are many health advantages related to this omega3 fatty acid beneficial for dogs. Many thanks for sharing these unique health advantages of fish oil.